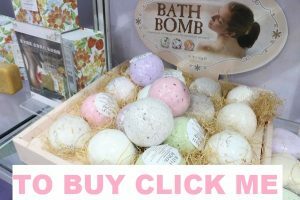 It’s interesting to learn how to make homemade DIY bath bombs, which can often be found on sale on the Lush network? 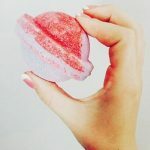 Then use this recipe, because it is not difficult to manufacture them, but you can make bath bombs for yourself, and as a gift to friends or relatives. Add your favorite essential oils, choose colors and enjoy fizzing bath bombs. Modern life is an endless marathon of tasks, tasks, and responsibilities. We hurry to work, we are in a hurry to study, and we need to pass a report or a session. We do not forget to take care of parents, give time to children, and we also need to take a walk with the pet and not forget about our personal life. In this entire bustle, it becomes difficult to relax, it is difficult for a man to simply throw all thoughts out of his head. 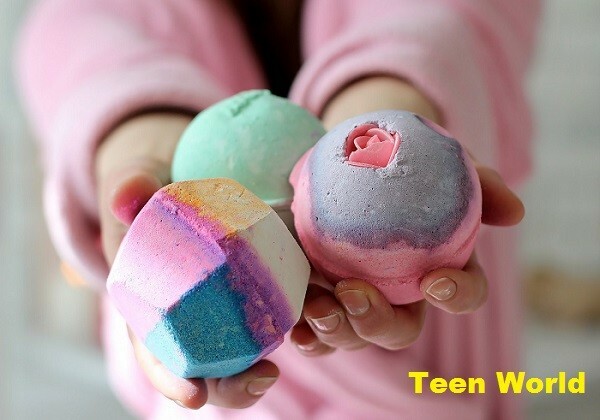 But today you will learn how to make bath bombs for ordinary water procedures not just relaxing, but also incredibly useful and aesthetically beautiful. How does bath bombs work? Do you think about how does bath bombs work? 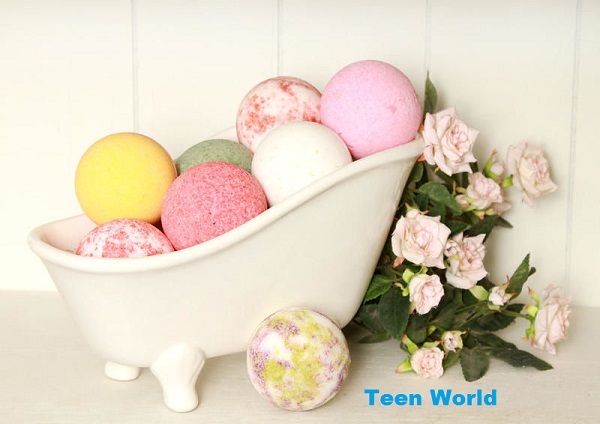 Hope you enjoy this full guide for how to make bath bombs at home. Bath bombs are small balls that, when in contact with water, begin to hiss and release bubbles. It turns out a sort of Jacuzzi effect. 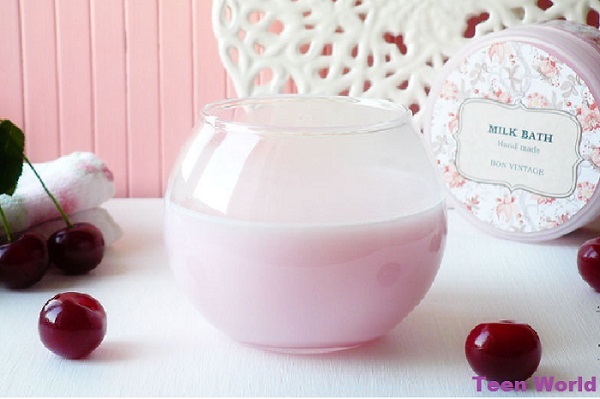 In addition, bombs can change the color of water, create a foam, fill the air with pleasant aromas. 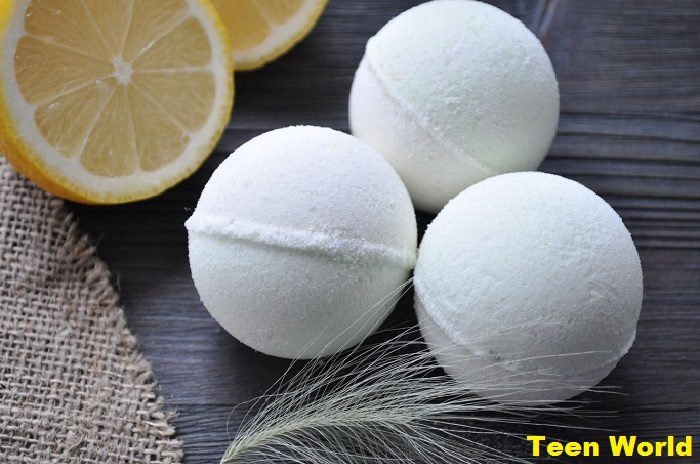 Depending on the ingredients, you can make bath bombs that will soften and moisturize the skin. Bath bombs are also called geysers for their ability to produce a large number of bubbles. Such a geyser can be bought at any cosmetic store. However, it is not cheap, although it often consists of simple components. In order not to spend on items that you can make yourself, try to make a bomb with your own hands. 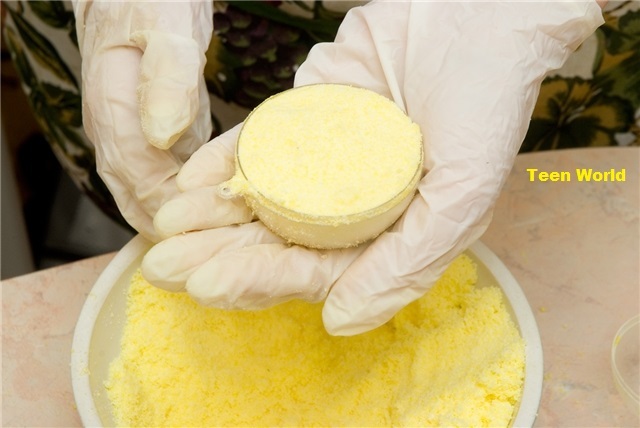 To make the bath bombs turned out to be not just hissing, but also safe, and also useful, it must be prepared with the right ingredients. When buying, pay attention to the date of production of the product. Overdue soda may lose its properties and when combined with other ingredients such soda will not give a reaction. Soda and acid are two essential and basic ingredients that give the desired hissing response when in contact with water. If there is no citric acid at hand, you can use the juice of a fresh lemon. You can make DIY bath bombs without citric acid. But boil in this case, the bomb will be slightly less, although you get a stunned citrus flavor. And yet, if you replace citric acid with natural juice, you will have to add a larger dry ingredient, so that the mass is quite thick. 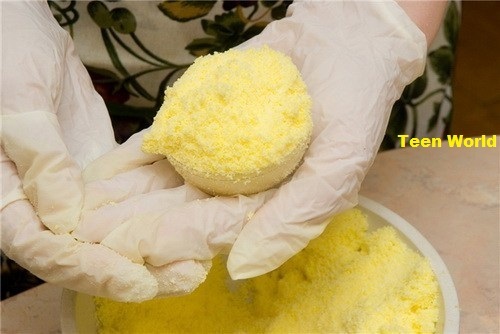 It is better to take corn – it quickly dissolves and does not leave a particle after itself. If there is no starch at hand, it can be replaced with dry milk. In fact, starch – it’s just a filler to make the bomb volume voluminous. In addition, starch helps the geyser to boil longer than usual. As you know, any cosmetic oil works perfectly on the skin, especially dry and lifeless. Adding some oil to your bombs, you will make not only beautiful but also a product useful for the skin. For the geyser, you can use any oil – almond, coconut, peach, linseed. Sea-buckthorn oil not only moisturizes your skin but also gives a pale body a light glow due to its orange color. If there are no cosmetic oils, use simple olive or sunflower oil – it is also incredibly useful for the skin, gives the epidermis elasticity and elasticity. If you do not like oil compositions, make a bomb without them, their use is not necessary. Smells – this is another component for a comfortable relaxation. Essential oils can be bought at the pharmacy – where they are represented by a wide range. The fragrance of sandalwood will help you calm down, relieve depression, overcome stress. The essential oil of the rose will give you a delicate aroma, heal the wounds on the body, after such a bath you will be able to sleep peacefully and for a long time. The smell of orange has a beneficial effect on the nervous system, you can remove anxiety, improve efficiency. Essential oil of bergamot will not only give you a tart flavor but also will suppress the active activity of sweat glands. Choose the oil for the bath bomb that you want. Perhaps today you decide to work through the night, and you need an invigorating citrus aroma. And tomorrow, tired of a day’s work. To the bomb was not only fragrant and useful but also beautiful, it needs to add a dye. This can be an ordinary watercolor or gouache, but it is safer to use food colors since the pigment inking is in contact with a large area of the skin. Food colors can be bought at any culinary store, they are quite rich and deep. If you are natural, you can use beet juice, which will give a deep pink shade. Turmeric will give your bomb a golden ebb. Violet can be achieved using blueberry juice or currants. But the green shade will come from the juice of spinach and parsley. To make the bomb turned out to be interesting, you can add a soap component to it. Thanks to this component the bomb will not only bubble and bubble, it will start giving out foam. As a soapy component, you can use shower gel, bath foam, shampoo or a simple liquid soap. In addition to the main ingredients, you can add anything to the bomb. It can be sea salt, which will improve the condition of your skin or the broth of the string, which will soothe and heal small wounds on the body. Anything that comes to your mind can enter the geyser. But how to cook it, to make it work? Let’s take the basic recipe for DIY bath bombs. For him, we need citric acid, soda, starch, essential oil of mint, a little foam for the bath, a green dye and a spoonful of peach oil. 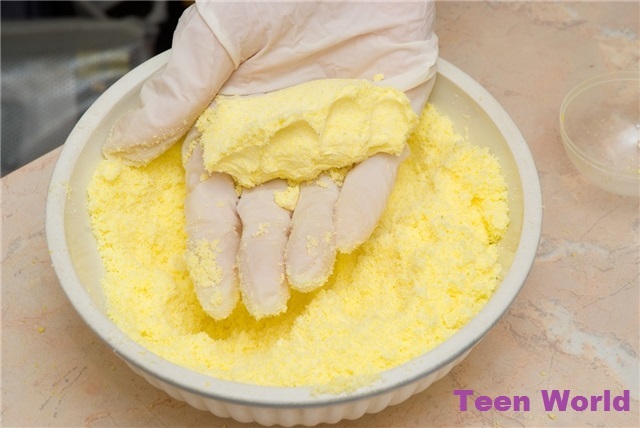 For the preparation of bath bombs, you need to take plastic or china dishes. Especially it concerns a spoon – the usual metal can oxidize. 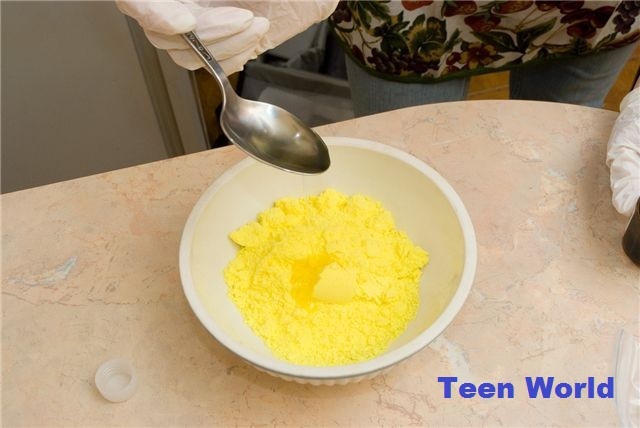 Citric acid, starch, and soda should be sifted through a sieve so that in the mass there are no solid stuck together pieces. Mix these ingredients in the following proportions – two parts of citric acid, the same amount of soda and one part of the starch. If you take 2 tablespoons of acid and soda, as well as one spoonful of starch, you get about three small bombs. Take all the powders and mix them thoroughly. Add a tablespoon of foam to the bath, a few drops of dye and ethereal mint oil. Now it is necessary to mix everything thoroughly, the intensity of the bombing depends on this. If the mass is too thick, add a little more foam, if too liquid – increase the amount of starch. Do not add water to the mass. Maximum, you can sprinkle porridge with small spray from the spray. If you add water, the mass will begin to sizzle strongly – the reaction will occur earlier than the planned time and the mass will crystallize incorrectly. After that, it will lose its properties and will not hiss when it gets into the water. From the prepared mass, knead the dough and divide it into several parts. Production bombs are round in shape, and we can make them any. In fact, the form is not important – you will immediately throw a mass into the water, and it will dissolve quickly. To form bombs, you can use silicone molds for cupcakes, plastic containers for freezing ice. To freeze the bombs well from the shape, the container is per-lubricated with vegetable oil. If there are no molds at hand, just roll the mass into balls and put it on the cutting board. How long does it take for a bath bomb to dry? I hope, you think when your bath bombs will be ready for use if its right then leaving your bath bomb in the mold for at least several hours, up to overnight. 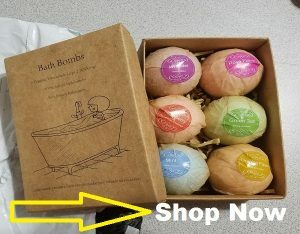 When the bombs are ready, then let it dry and bath bombs should be sent to the refrigerator, or better – to the freezer, where they will better grasp and when thrown into the water will be longer to defrost, and hence the process of boiling will be long. 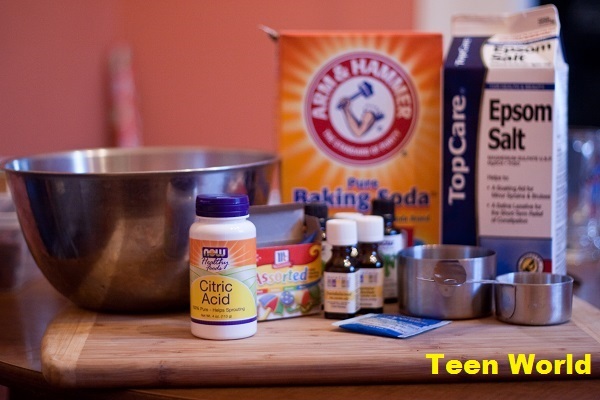 Mix half a glass of baking soda with a quarter glass of starch and citric acid. Add a lot of yellow dye and lemon essential oil. An excellent decorative element will be obtained by adding yellow petals of any flower, for example, narcissus. You can add a mass of crushed peel of fresh lemon. Mix all the ingredients and freeze as in the previous recipe. Take the base – citric acid, soda, and starch. To give the geyser a cheerful color, you can add bright colors to your taste. As an aromatic component, use plain vanillin. The bath bomb will turn out to be appetizing and caramel in this case. To prepare this composition, several colors are required. However, if we add them to one container, they mix and the result of us will not be exactly happy. Therefore, we make a basis from the usual components and divide it into several parts. In each part, we add our own shade – red, green, yellow. Then we shift the three masses into one container and sprinkle with sequins. We mix it, but not very intensively, so that the colors differ and do not become a homogeneous mass. 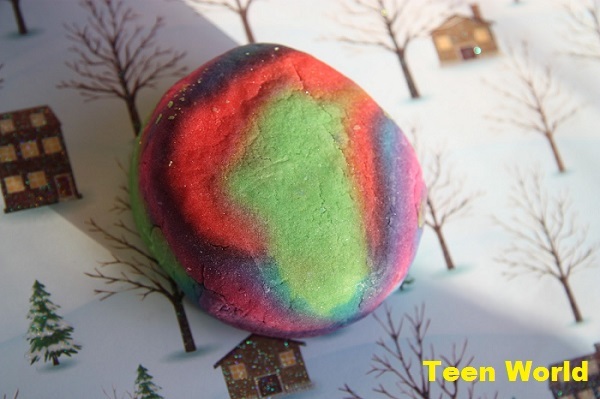 When throwing rainbow bath bombs into the water, it will start to boil in different shades, and sparkles will make the show even more colorful. Milk rose bath bombs will come in handy during a romantic date. For their preparation, we take a basis from citric acid and soda. Instead of starch, it is better to use dried milk, it will make the water slightly whitish after dissolving and give a milky flavor. To enhance the color effect, use white food coloring. For the aroma, we add essential oil of rose. A decorative element is the petals of a pink or scarlet rose. All mix and freeze as usual. If it hits the water, bubbles will appear, light petals will begin to surface, the water will turn to milky, the bath will be filled with a delicate floral aroma – the atmosphere for a romantic evening. 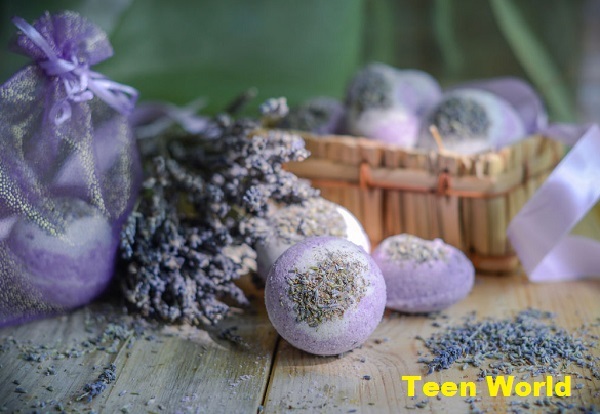 The recipe for this homemade bath bomb will be needed after a hard day’s work when you want to relax and get rid of all troubling thoughts. In the bulk, we add a relaxing essential oil of lavender and flowers of dried chamomile. Oil will relieve nervous tension and stress, and chamomile will soothe the body and soul. Having made such DIY bath bombs, you will always have blanks in your refrigerator for any cases of life. Homemade bath bombs is a unique way of relaxing, appealing, calming thoughts and body. This is aromatherapy, and aesthetic enjoyment of seething colors, as well as a small way to bring something new into your everyday and everyday life. After all, life, as is known, consists of pleasant trifles and joyous evenings, held with pleasure. This is a general plan for how to make bath bombs. 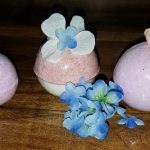 We hope that you liked this masterclass of DIY bath bombs recipe like lush with your own hands and you will share this page with the instruction with your friends! Until next time!